Praising God and praying His will for your spouse is guaranteed to be your most rewarding work as his wife. How often do you pray for your husband? What about specifically for your husband to be a Godly father and lead your children and family well? 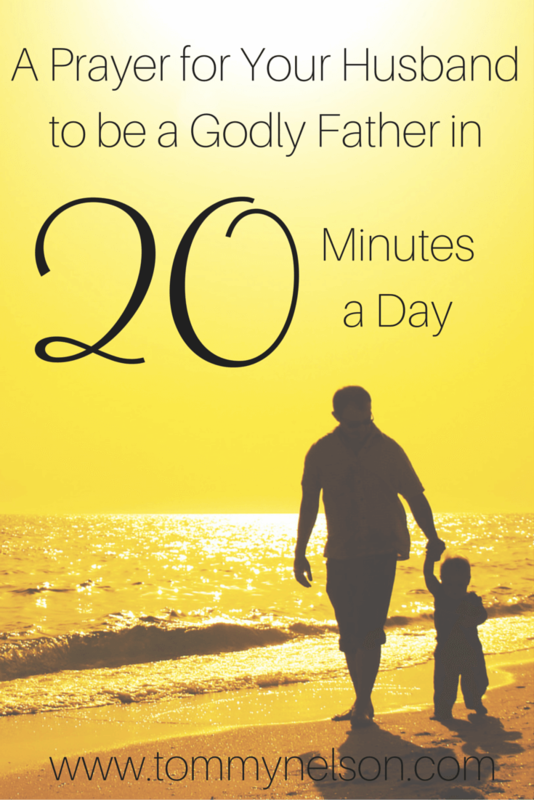 Here is a simple way to pray for husband in just 20 minutes a day. At the top of each hour, pray these prayers. Show my husband how to delight in our kids at all ages and stages, giving them proper time and attention. Help him not provoke our children to wrath, but give them patient training and biblical instruction. Guide and direct him to bring our children up in the ways of you. May he give them steadfast teaching. Show him how to be a man of meekness and remind him of your amazing example of unbridled strength. Help him to model humility before our children. May our home to be a fortress and a refuge as my husband fears your name. I pray he walks with integrity and conviction. Help him work hard with his hands, providing for his family. Allow him to live a legacy for our family and our children’s children to follow. Help him to be an example of worshiping and serving you with gladness of heart. I’d love to hear how this practice of praying for your husband daily blesses you and your family. 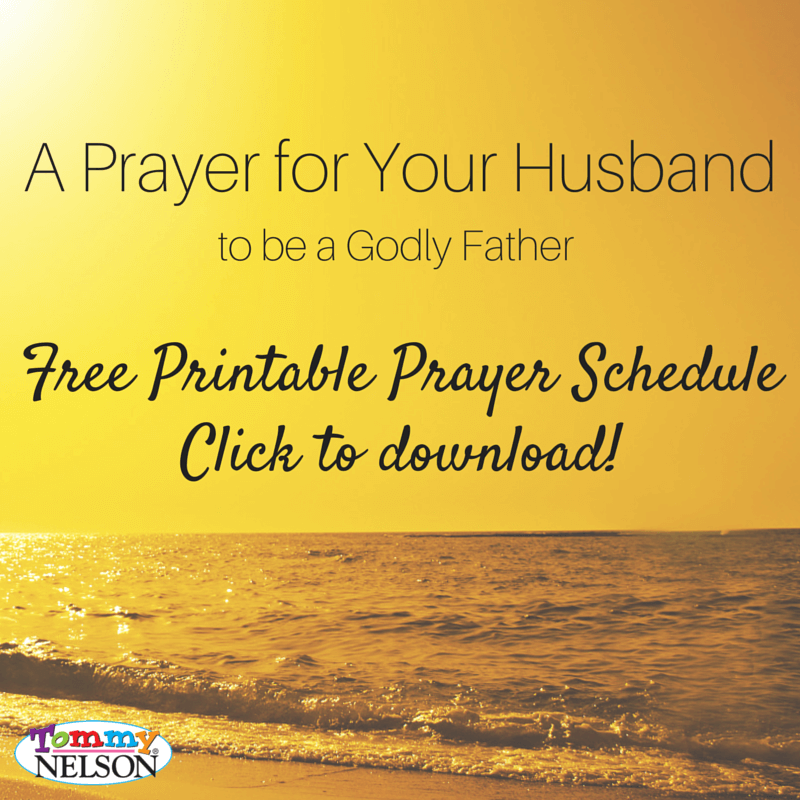 Learn how to pray for your husband from head to toe over here. It helps keep my thoughts pure and true. It keeps me humble and prayerful about my own shortcomings. It keeps my heart and mind positive about him. It keeps me safe as there is protection within God’s will. It keeps me hopeful and eager for God’s blessings in his life. It keeps me free of a negative spirit. It keeps my words praise-worthy about him in front of our children. Download this handy pocket guide for how to pray for your husband daily. This is the last prayer post in our January month of prayer series! We hope you’ve been encouraged by these prayers, and that you’ll continue to cover your families and yourselves in prayer this year! 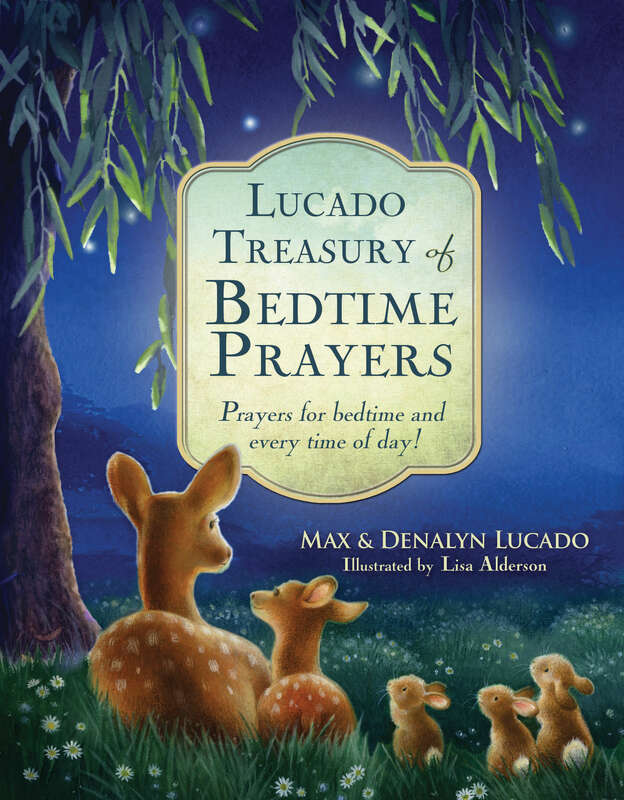 If you haven’t already, be sure to learn more about the brand new book from Max & Denalyn Lucado, Lucado Treasury of Bedtime Prayers: Prayers for bedtime and every time of day. Max and Denalyn Lucado firmly believe that prayer is the foundation of a believer’s life, and they hope that this book will introduce your children to a lifetime of conversation with God! How do you teach your children to pray throughout their day? This entry was posted in Blog, Tommy Nelson and tagged Husband, Kids, Parenting, Prayer by Traci Little. Bookmark the permalink.